Kurigram Correspondent: Railways Minister Nurul Islam Sujan said rail lines will be built in all districts. 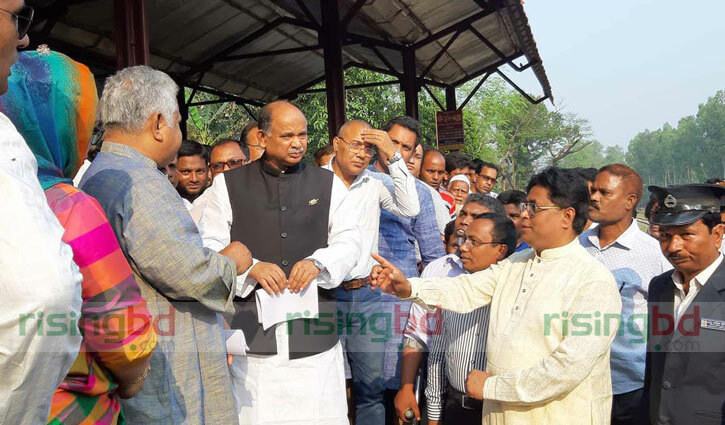 The minister made the disclosure while addressing reporters after visiting a new rail station in Kurigram on Friday afternoon. Deputy Commissioner Sultana Parvin, Police super Mehedul Karim, District parishad chairman Jafar Ali and others attended the function.